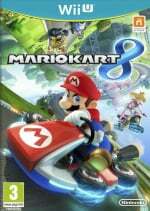 Play: Mario Kart 8 in the NLife Community GP - Today! Just head to Tournament in Online and select "Search Using a Code". We initially planned for this to be a 10 hour tournament, before realising that was a tad unfair on gamers in Europe in need of an early night's sleep, so it'll actually be 15 hours. Below are the details. The tournament will run from 1pm Pacific / 4pm Eastern / 9pm UK / 10pm CET today (6th June) to 4am / 7am Eastern / 12pm UK / 1pm CET* on 7th June. The timings may look peculiar, but it gives Europeans tonight and the morning to hit their allocation of races, and those in North America a big chunk of Friday. What do we mean by allocation? In this tournament we'll all be limited to 32 races so that, when it closes, there'll actually be a winner based on some degree of skill, rather than whoever played the most races. It's not perfect, of course, as some may end up in rooms with some CPU racers, yet these have at least been set to the Hard difficulty. That's it! Of course, the main idea is to have fun and exchange some gentle teasing in the comments below. 32 races should take a typical player at least 90 minutes to three hours, depending on how long everyone's taking in the lobbies. Of course, if you hit your allocation just head over to the rolling Nintendo Life GP — tournament number 6347-6219-4703 — to race the hours away. Sounds like fun! I tried the rolling tournament a little yesterday and it was great fun. I'll be joining this if possible. I'm working on the perfect kart combo. Not just for the tourney, but period. Any tips? I'll try it later. It'll be fun. If you're usually in the lead, speed > everything. If you're usually in the middle to upper middle of the pack acceleration is really important (and weight). Basically what I see as the perfect combo is as much speed and weight that you can get, while still keeping handling high enough that you can do close drifts around the edges of the track. So this depends upon the player in question. The best combos for myself that I've found are pretty simple. As Rosalina: The Flame Rider, Slick Wheels, and a heavy glider. Peach/Daisy: Circuit Special, Slick Wheels, and a heavy glider once again. With Luigi I just go the catmobile, slick and heavy glider. That's just because it looks silly and I like that. Similarly with Peach I often go with the Flame Rider opposed to the Circuit Special simply because I prefer the way she looks and animates on a bike. @Contrite Ah you're here. Didn't see you in the rolling tournament, was actually really quiet when I went online. I've been on and off, since It's just not as enjoyable when there's like 3 people there. Connection errors are annoying, tho not so regular. Any Mario Kart 7 races?? Well I've fried one router because of t-storm so I am not testing with my 500e routerorwhateveritisthatgivesmeinternet - even I've tried to protect everything better. OH COME ON. I would've finished first but then a blue shell juuust before the goal. I'm a bit late, but I'm about to join in now! I'll be on in a couple of hours as DoomTurtle. I'll be none other than the Turtle of Doom himself, Bowser in his sweet ride, the Prancer with Azure Wheels and the Peach Parasol. Oh yeah! No tää on kasaritalo, et kyl mä kärväytin intenon sarjassa "ei se vielä niin lähelle lyöny" niin en kuituboksin kaa kyl ala kokeileen. Ja tulostimen kärväytin, jossa faksi. Oh, another communication error so this probably tells me to head to bed. Try to play some in the morning (hopefully it rains so I don't have to go outdoors ) Sande K I am if someone sees me. That's weird, the blue shell hit the wrong person..
Havin' so much fun with my fellow Nintendo Lifers! Hope you are all too! We got a full room rockin' right now. Gah! Martin Watts pipped me at the line there! @Drake Well you've gotten two in the last two races. They clearly have no effect on you haha. Perhaps the blue shell was fired when he was #1 and almost immediately after that moved to second place? @KingCreezy I had a Super Horn during the Tick-Tock Clock race! @Drake Yeah I seen that. I'm absolute rubbish. Online play always makes me awful. Always. Could be. Or a bug. Most likely it's because of network lag, so for all I know he could've "officially" been in first place. Lag happens all the time at the finishing line at least. Like, coming in 3rd, and then suddenly two other people blink ahead of you after you're over the line and you get 6th. @Contrite Yeah, had that a few times today. Come in 3rd and all of a sudden I'm 5th, like what the hell!? But to stay positive, it's about 1200x better than the Wii. Back in action. I stopped to go get something to eat. Lol, I'm doing really badly now. I blame the people needlessly using their items on me when they gain nothing out of it. Dude, preaching to the choir. Sometimes people use items on me when I'm already down and they easily could drive by me and hit the person in front of them. I feel like I'm getting hit by EVERYTHING. I guess I'm just unlucky. Limit is a good idea though maybe 16 is enough in that timeframe! Will this be a regular thing? Because I won't be able to play Mk8 for the next week and I really want to try out the tournament. @8BitPenguin - Yep. we'll do these regularly. Yeah, I have no problem being bombarded with items. As long as people don't waste them on me, while I'm already tumbling and moving at 0 km/h. And subsequently lessen their chances of actually bringing the guys in front down. Race as Wario in any kart.... best strategy ever. Look forward to joining everybody in a few hours. Thanks very much for allowing us to show our appreciation for all your hard work by bombarding you with red shells (and red-shelling us right back!). Also, could the schedule for this please not be Friday nights in the future? Maybe Sunday would be better for more people in general? Indeed, getting hit is part of MK and you expect it, adds to the challenge, but when you lose because someone fails to play it smart at your expense, that's kind of annoying. Nah, stopping for now. 24 races, and only at 257. I'm not winning this thang, that's fo sho. Who ever is Nick.. I keel you! Heading back on. I'm Cliffomac. Yoshi with funky space wheels. See you on the track! Well it is about time I joined, I am Cyndaquilfan123 and I have been reading here for a few months now. I own a Wii U and 3ds. I've had Mario Kart 8 since launch and I love it. I am really excited to race with you guys. Me and Baby Mario will see on the track! Good Luck! Don't know why but whenever Toad's Turnpike is available to pick, I'm the only one who does pick it. Bad memories from N64 maybe? 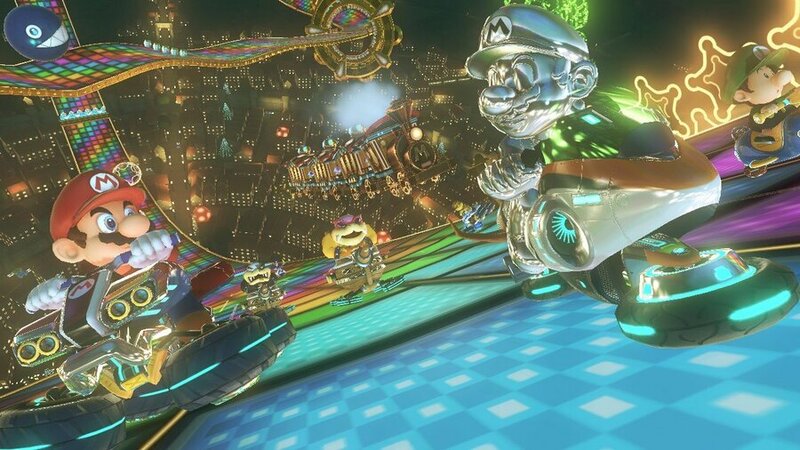 EDIT: Also, does anyone get the feeling Wii Music U will be announced at E3 because Melody Motorway/Music Park is on MK8 even though we have Electrodrome? @Grumblevolcano I never pick it because avoiding the cars in this version is incredibly easy and it just becomes a contest to see who can take all the turns the tightest. Just finished all of my races. Overall I'm currently 4th. Hopefully I'll stay in the top 10! Man, sometimes it feels like there's a Rosalina hunt going on. I and at least two other Rosalina players got annihilated for three races in a row! But I got through it all! Right now I'm 7th, with 247 points. Let's see how that turns out. Just got done with all my races. It took roughly two hours with no disconnects. Thanks for all the great races everyone. Currently sitting 5th with 286 but I'm sure that will change within the hour. About to start too! "Fred"
Good tournament. I had fun! I was two points away from being on the leaderboard. UPDATE: Oh, that was the tournament selection scores. Godlike, 4 races in! Good racing peeps! Nintendo really needs to fix track selection, GBA Mario Circuit has been selected every other race 3 times now. ALEJANDRO! WHY DID YOU HIT ME WITH THAT RED SHELL! That was fun! A real challenge, too. I ended up at 211 points. @Dr_42o Haha, that was me, for the record. Not sure why you want to keel me, but I can certainly think of a few possible reasons. I had a lot of fun today! I was playing as Hanae there. :3 will the results be posted when it closes? Not a big fan of the new rainbow road! Much prefer the N64 version! @TechnoTaylor Yep, that's me! eheh. what's your name? Currently 16th with 253 points but still have about 5 races left I think. Oh my gosh, this was way more stressful than I anticipated. Finished with 220 odd. Still have a couple of races left which I might get done in the morning before work but probably can't. Really enjoyed the tournament . Thanks everyone. Got myself onto the leaderboard for a short while which is always nice! Looking forward to the next tournament already. Need to hit time trial for a few of my problem tracks! I'm in! Just finished my second race! The people on top of the scoreboard clearly went against CPU much more than humans. It turned out I had way more than 5 races, final score of 360 so 6th place. Williams46 will probably beat me though. @Grumblevolcano We had a lot of close races and both managed to score high in the leaderboards. Lets hope we both stay within the top 20 until the end. I also somehow had a red shell pass me, spin around me then hit me. Probably lost some points thanks to that. ok i'm in I entered the code just now! I'll probably go there soon. I'm finally free for summer vacation today, and I had a lot to do at school today, so I'm lazy. I think I may be ready to join in on the action! Be on the lookout for SirJBizzle! Ok.. Why is the AI Godly and fast? I was on boost pads and Wario with a super heavy kart (that's usually slow) just casually rode by without any boost.. It always happens on the last lap too haha. Finished with 299, I sucked horribly my first half. but I ended in whatis currently 18th place. I'm quite happy with it. I don't think I can handle anymore item abuse leaving me with 5th-8th place every race. Got second twice in a row and thats it. If you dont get out to an early lead you're doomed to middle of the pack results. Man, the competition is brutal!! I started out middle of the pack then I started coming in last in the last few races then I got booted about 13 matches in... It was probably a good thing, I was starting to lose focus. Now I'll go back in after a bite and finish up! Keep getting cheap losses I'm sorry, but how can someone in 2nd get queen mushroom then triple when in 1st? I've just broke 210 in my last game, and have around 6-7 races.. I hope my last race doesn't count because the connection crapped out.. Okay, really now, how do people maintain speed after getting hit up by my red shells??? I've been worn down and beaten.. 256 points, pretty disappointed.. Although getting passed by someone teleporting (poor internet connection I assume) RIGHT AT the finish line made me kinda ticked off.. I think next time they should do frantic mode, that way I don't get so many coins in 4th place. @jibberldd5 You did good! I was RESWilliam (the R should be backwards, but I can't type it on this computer). Yeah, Mickamott was super fast...I wasn't really interested in tournaments before this, but I am now! It was a good night for it apparently because my connection was buttery smooth! I think my final score was 243. I did horribly at first, but after some of the human players dropped I started doing better. That was fun. I knew I had no chance, not enough time to practice, but I bet this tourneys will help me improve. (T.C. - 309) Thanks for the races everyone, and thanks for this events NL guys. I just finished. 6th place for now with 386 points (and I had some pretty stiff competition. I really wanted to break 400, but I had a few bad breaks towards the end finishing in 7th or 8th place due to poorly timed shell combos. I'm feeling pretty good about a top 10 finish though. This was fun guys. NL should definitely do this again. Alejandro here, I had a great time racing and surprisingly right now Im in the top 3 (I had at least 3 horrible races because of my own fault and another more with no luck with the items). The last 5 or so races with more CPUs than humans sure helped me but it was hard anyway, whoever got 450+ deserves that 1st spot. Well, what do you know? At the time of writing, I managed to get second place! I would've gotten first if it weren't for the first half of my races. Those were pure torture! And I really need to drive offline GPs with 150cc But it's s much more fun with real people since they do the crazy stuff like me! @ToneDeath haha! It's always good to bond over red shells, banana peels and screwing each other over just before the finish line! Well raced @MegaWatts. I was in your room for a fair bit but think I only managed to beat you once or twice and that was mainly thanks to lucky items! So when is the next Nintendo Life tournament? TONIGHT??? All races raced, score 297. Not too good but I didn't expect much better for finishing most of the races at ~5th place :'D Well, I had a lot of fun and was in the first place a few times too. Next time better!! I wound up with a total of 348 points, which would've been almost 500, if certain people (Fill and Michael) hadn't gotten ridiculously lucky on item draws when I was about to finish first on at least three different tracks. We'll see how the next tournament goes, I guess. Anyway, forget patching "fire hopping", what needs to be patched is drawing coins from item blocks, especially when you're already maxed out. It's a hard slap in the face to be in first place for all three laps, only to have it taken from you on the finish line approach because the item blocks keep giving offensive/defensive items to every racer except you. @dinosauryoshi Thanks for playing! Lucky items were certainly a common theme throughout the tournament for me, in the sense that I was the target of most of them! Hope you had fun! Hey everybody. Christos here. I'd just like to say it was awesome to be playing today. (and thank NL for making the time zones kind for us Aussies). I'm not really a big member of the site, and I just made this profile today, but I think after the fun of MK8, I'll get a little bit more involved. 251 points! No idea where that finishes but boy are you lot maniacs! MANIACS! Had one uneventful race just cruising Yoshi Valley in 1st place with a super horn for the last 2 laps. Probably everyone behind duking it out amongst themselves. @ScorpionMG Haha, sorry about that red shell ( dont know exactly which one ). If it makes you feel better, I just got pushed out of the top 3. Good fun though! But if an F-Zero comes out with online races that play as well as this ( only more intense) then I may end up joining the "My controller exploded against a wall" club. Well, it was very eventful, that's for sure! I finished with 386 points, hopefully I'm still in the top 10. When will NL announce the winner? I wish I could participate in these tournaments, but I can't play a single race without disconnecting even with a wired connection. Oh well. I got whipped but loved the competition. At first I was playing against a few A.I. and boy, all oc the other Karters were really tough. @G0dlike There isn't an option with no coins without no items. I sucked it up, but I had a lot of fun & actually managed to win a race! Can't wait for the next one! Agent 721-Frenchie. I've been a defender of the coin item. I actually like getting it early on. But I went through multiple races yesterday without getting any other items. Like others have said, I'll be in first the whole time only to get battered by shell after shell right at the end. It's really frustrating. 2nd and 3rd place are getting three red shells while first is getting coins. Is there a way to see the final rankings? I'm curious! @Yai You select "view rankings" on the tournament. As it's over until next week, the current results will stay there (top 20 and your score). @Grumblevolcano thanks for the info! I'll check it out later today. Really loved the tournament, NL, you should organize some more! I had some tough guys in my group, anyone of you here? I'm Arjuna, was driving with Bowser. Thanks a lot! (been practicing since the SNES days) Was 5th when I finished but got bumped to 11th overall out of 265. Can't wait for the next one! @Grumblevolcano If no items is the only way to remove the luck factor then that is the way it should be. Any credit for the winner? He/She deserves atleast a mention on NL for winning the first tournament of NL. That's how I feel about it though. @bonham2 You and I are tied 8th place, man!